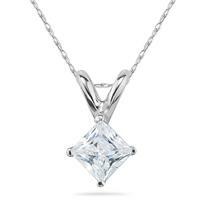 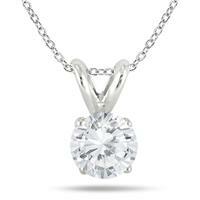 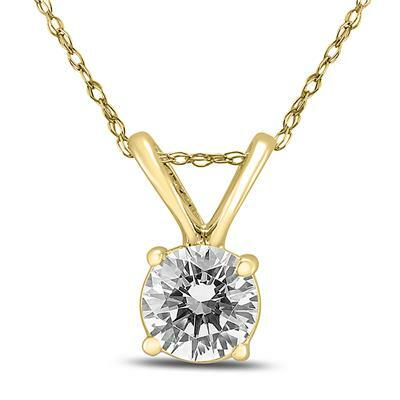 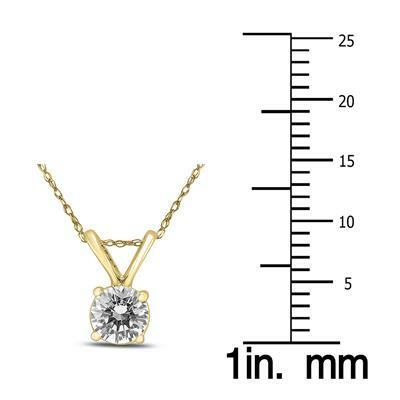 A stunning diamond solitaire pendant set in a 14K yellow gold basket setting. 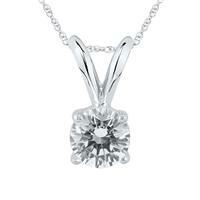 The round diamond weighs 1/3 carat. 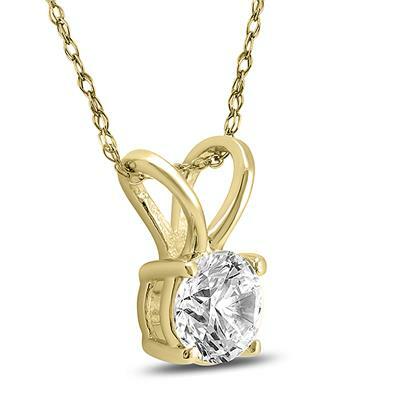 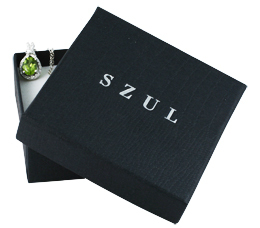 The pendant hangs from an 18 inch 14K yellow gold rope chain that secures with a spring ring clasp.